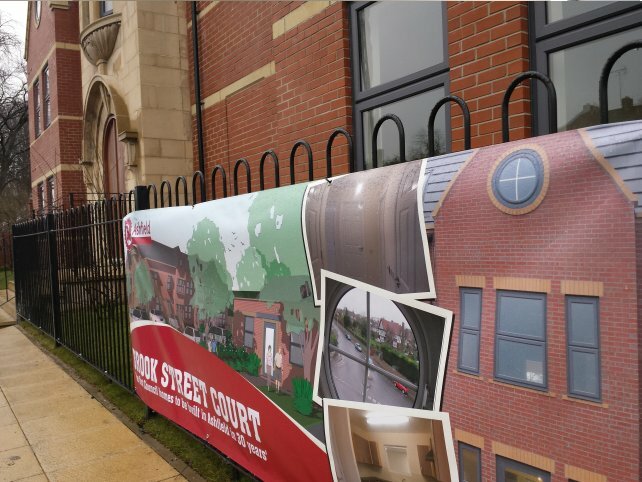 Brook Street is a new housing development in Sutton in Ashfield, which sees the completion of the first Council homes to be built in Ashfield for almost 30 years. 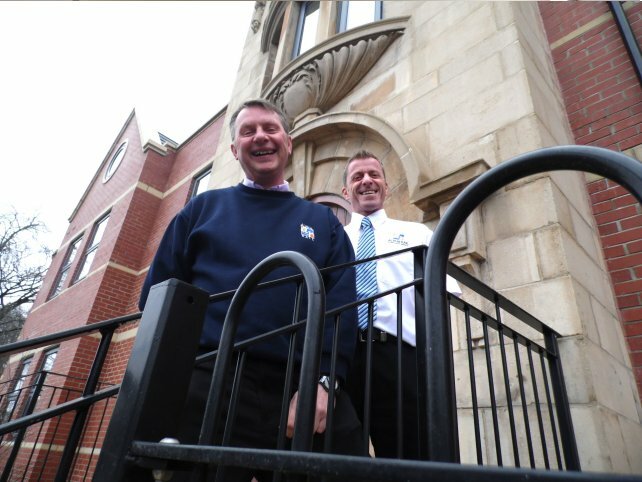 In total, 22 new apartments and three bungalows been built which will be primarily occupied by the over 60’s. 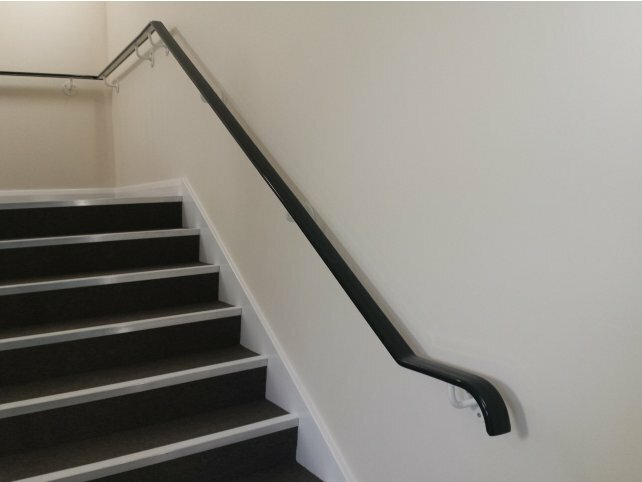 Every aspect of the design and build has therefore been designed to ensure residents can to continue to live independently as they get older. 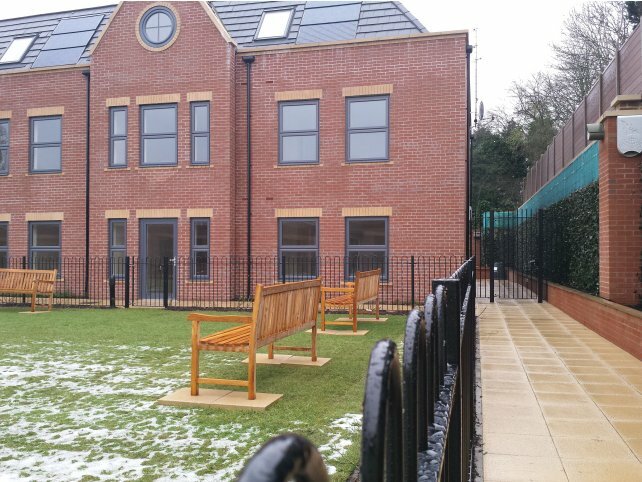 Built on the site of the former Sutton Swimming Baths, which had become derelict and run down, other features of the new development include seating areas and gardens. Working on behalf of the main contractor Wilmott Dixon Housing, Alpha Rail has manufactured and installed 4 single leaf gates, a double leaf gate and 85 metres of bow topped metal railings galvanized and powder coated RAL 9005 black to create attractive perimeter railings around a centrally positioned lawned area. 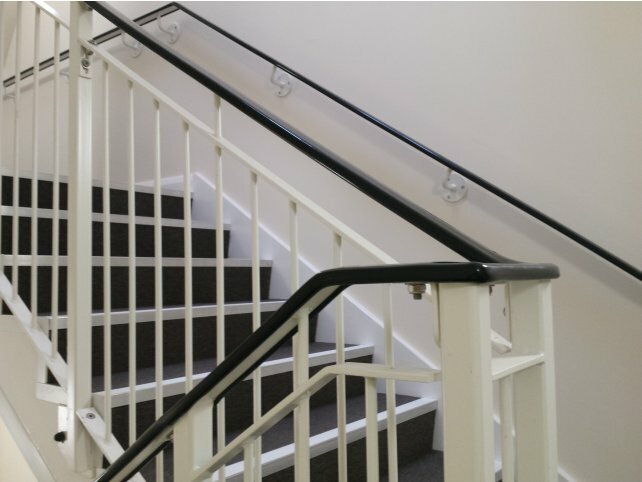 Flat topped vertical railing were also installed alongside the steps of main the entrance. 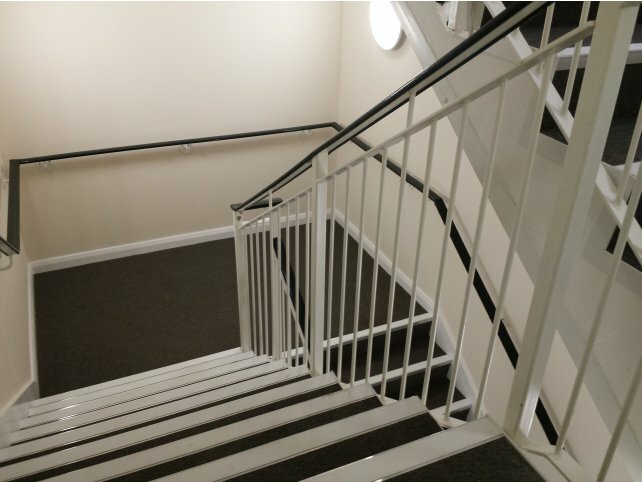 In order to meet safety regulations within the stair cores of the three storey main building, Alpha Rail manufactured and installed 1100m high balustrade railings which were galvanised, painted white and topped with a PVC capped handrails to ensure they could be easily gripped as residents traverse the stairwell. 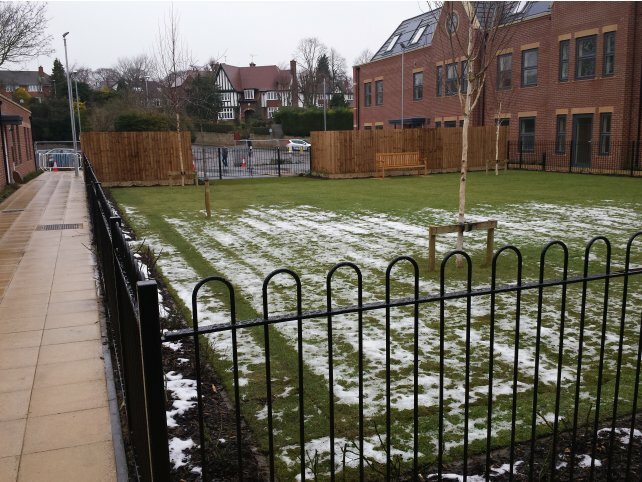 In addition, Alpha Rail also supplied and installed 32m of close-board timber fencing, mounted on concrete gravel boards with concrete posts, and 76m of 1m high timber fencing which was set between brick pillars to cordon off areas requiring more privacy. 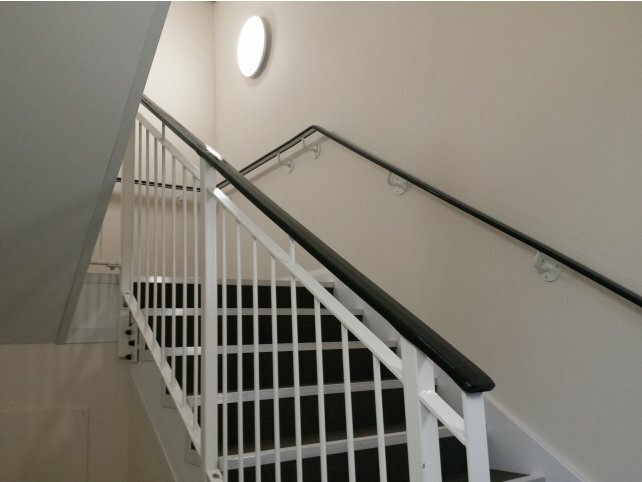 "Although primarily manufacturers of metal railings and gates, we were delighted to assist Willmott Dixon by co-ordinating all aspects of the project relating to railings, fencing and stair core balustrade. We partnered with the on-site team throughout the construction phase to ensure we meet their requirements and deadlines. 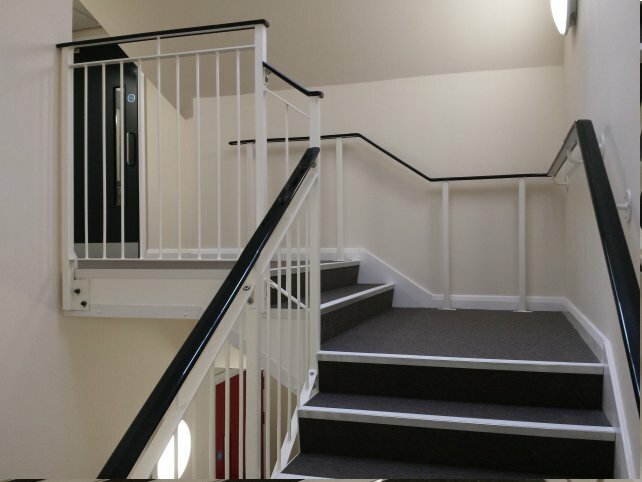 All metalwork was manufactured to a very high standard and we are confident it will last the test of time.”"